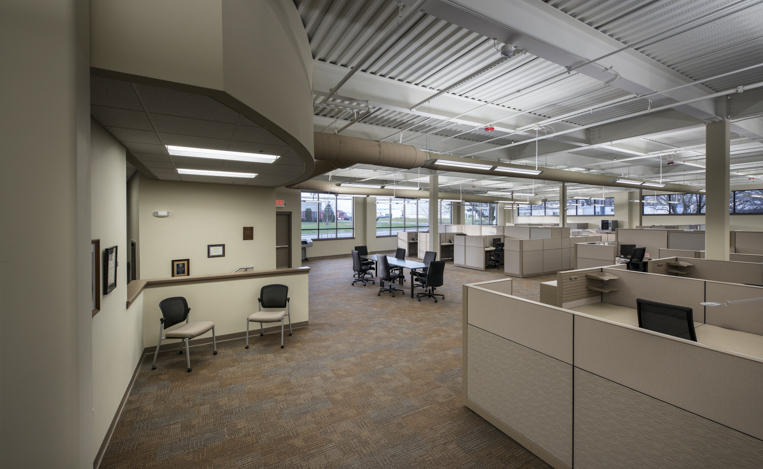 Sechan Electronics Corporate Office - Benchmark Construction Company, Inc. 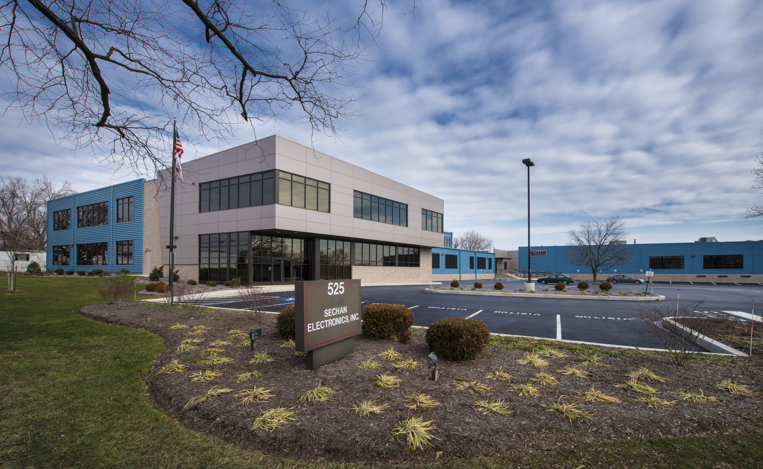 The first part of this two-phased project at Sechan Electronics added a 20,000 square foot, two-story structural steel office addition. 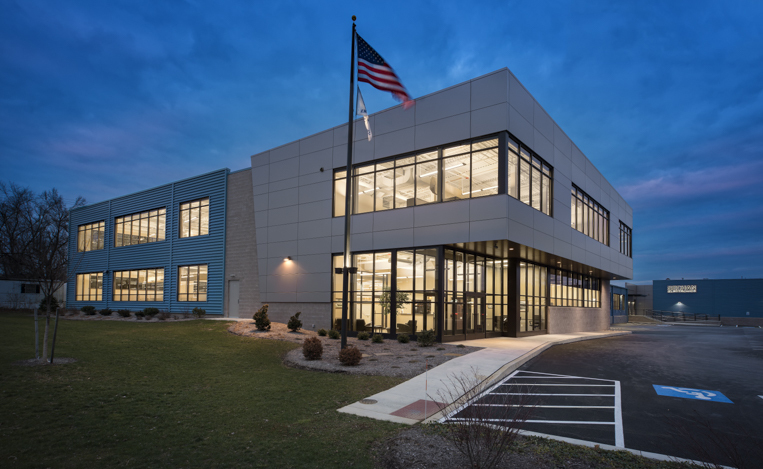 The addition was constructed of structural steel, metal siding and Alucobond panels to an existing pre-manufactured building. 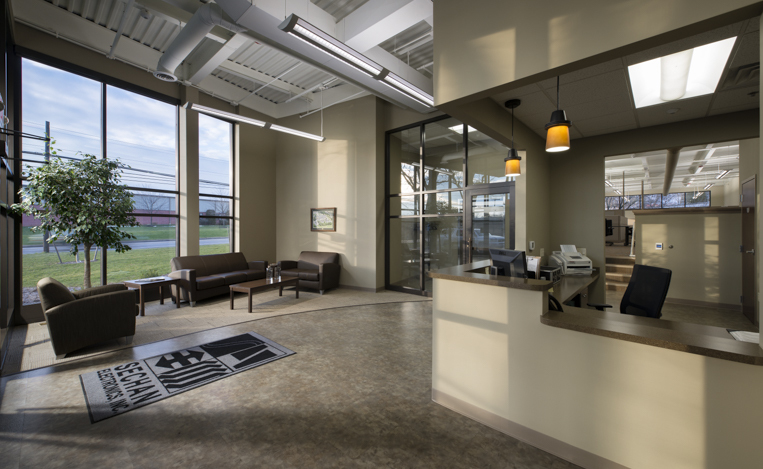 The addition houses a lobby, engineering offices, quality control areas, administrative offices, and conference rooms equipped with a full kitchen. 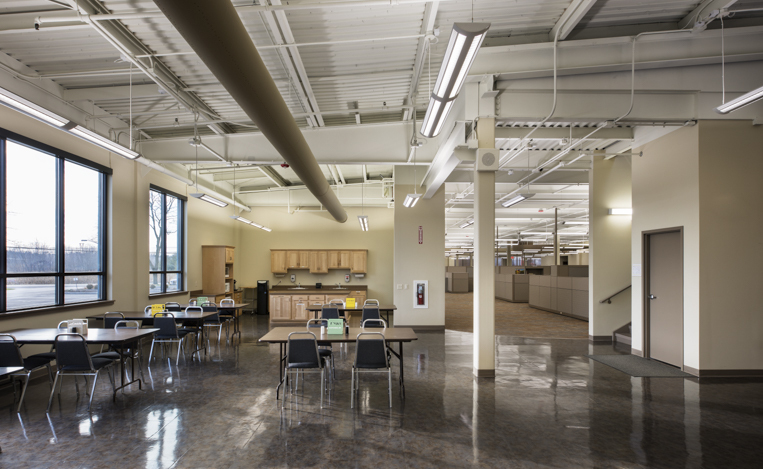 The second phase was a 18,000 square foot renovation to the existing facility which was fully occupied during construction. Benchmark worked around the existing computer server room that operated the entire facility by setting up protective barriers around the fragile equipment. The existing roof structure was removed and a full second floor structural steel frame was constructed within the existing building footprint.